Sean gave you $5 to start saving with Digit! Goals you can actually achieve. Share what you're saving for and Digit does the rest. It can budget for your next vacation, pay off credit cards, or put money away for a rainy day. We use state-of-the-art encryption to keep your data safe. Digit users have already put a billion in the bank, and the savings are just getting started. Your money is held at FDIC insured banks. Which means you're protected up to $250,000. Your data is secured by 256-bit encryption. That's the same level of security as the military. Hear from Digit users on the App Store, Play Store, and Twitter. My Digit savings helped me pay off a semester of tuition so I don’t have to take out a loan. I’ve saved over $2,600 for our Vacation Fund, in the 1 year I’ve been using @hellodigit. I love this app! We were able to save for two vacations without thinking about it. I love the simplicity and ease of saving for a variety of goals - all without lifting a finger. This app has turned me from someone who can't save money into someone who can. Get 30 days of Digit free. Powerful saving for a small price. Digit knows when it's ok to save. 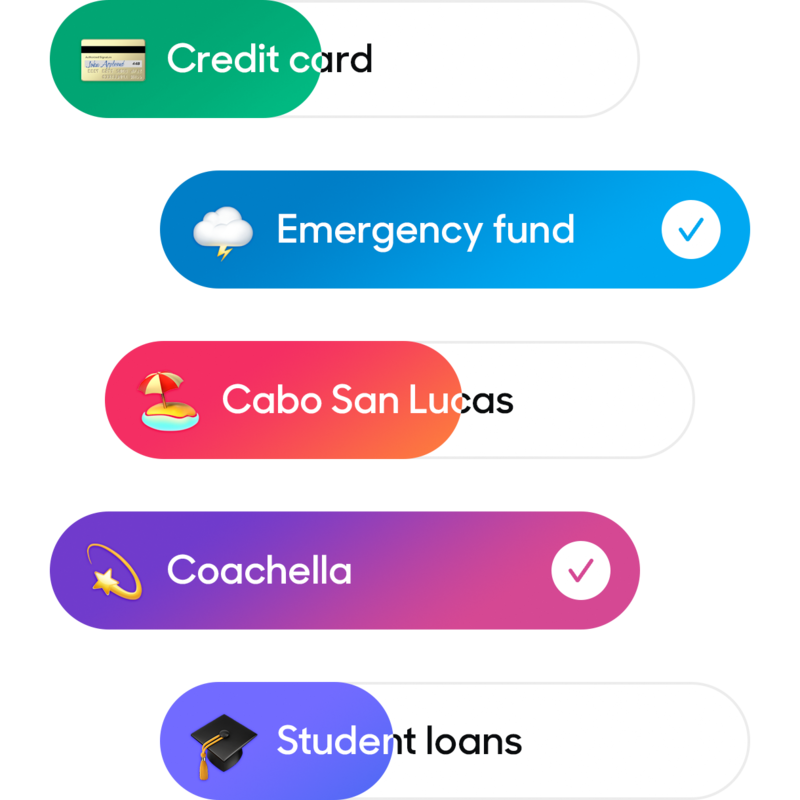 Digit manages all your savings goals. Digit will save for & pay off your credit card debt. Get paid for saving every 3 months. Get your money when you want it. Automatic transfers to your checking. Leave as little as you want in Digit. The fee is on us if Digit saves too much. © 2019 Hello Digit, Inc.